Watch our schedules analyser tutorial videos to learn more, and see all of our Traffic Analyser demo videos on OAG's Wistia Channel. "Increasing international traffic to CGK means we need divert more domestic transit flights to our secondary airports. Understanding the existing capacity through Schedules Analyser coupled with access to traffic composition from behind, beyond or bridge with Traffic Analyser helps us understand demand & prioritise which airports we should be developing to support this." 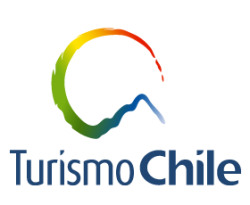 "We purchased OAG’s Schedules Analyser, Traffic Analyser and Mapper to monitor airline trends and the relative strengths and weaknesses of air services to Chile compared to competing destinations. We also wanted to understand who travels to our destination, how they reach the destination and how their destination fares compare to our ‘competitors’. The platform is accessible, easily operated and has saved us time in producing valuable analysis to increase our potential. OAG has supported us every step of the way in using this new system."